Some trade in stock, real estate, and cars – my currency of choice is HOPE. 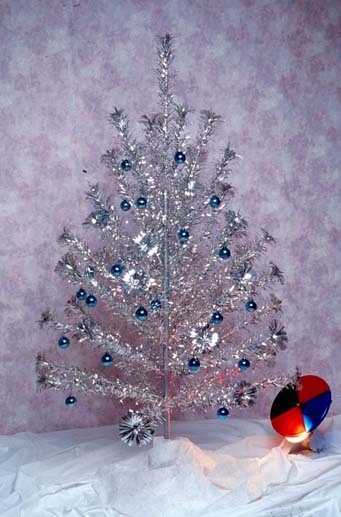 We had a silver Christmas tree strung with blue lights in our living room. My adopted mother had worked frantically all day at the factory so that she could come home early and prepare for Christmas. My mom had finally gotten my two-and-a-half-year-old little sister to go to sleep, and it was my job to put a dollhouse together for her. My mom worked hard to make sure that there were presents under the tree, though there were never very many for either of us. I knew that the dollhouse was my sister’s “big gift” that year. As an 11-year-old, I was excited to have something constructive to do. I was tired of waiting to see if my adopted dad would come home that night. Holidays are difficult for the families of alcoholics, and mine was no exception. My dad was rarely home for any holiday. He would drink away most of his paycheck and stay away from home. Of the Christmases that he was with us, I only remember him being sober for a couple of them. Every celebration was the same with my dad, and it never got any easier for my mom. She would try to hide her pain, but it was impossible. The shame was written all over her face. 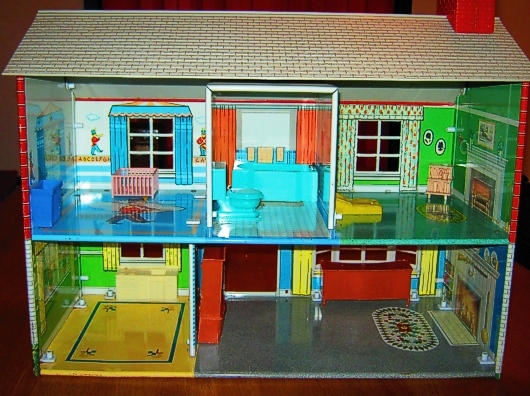 I went to bed after finishing the dollhouse and wondered what “big gift” my mom had gotten for me that year. I figured that dad would probably stumble in at two or three in the morning and pass out on the couch. Two o’clock was about the time that the bar owners decided they’d taken enough money from saps like my dad and closed up shop. My mom woke me up at eight o’clock the next morning to help her finish getting everything ready. My sister popped out of bed not long after. Watching her sleepy eyes take in the gigantic pink and yellow dollhouse, I couldn’t wait to see what my “big gift” would be. As we dug out the smaller presents from our stockings, I noticed that my mom was stealing glances at the clock. After all of our gifts had been opened — my “big gift” nowhere in sight — my mother broke the news to me. “Glenn, your dad told me that he would take care of getting your gift this year. He seemed excited and sincere, so I agreed. He’s let me down before, but I never thought that he would disappoint you. I’m so sorry. I don’t have anything to give you.” She stared at me for a long time, as if she were searching for understanding in my 11-year-old eyes. I didn’t know what to say. How could she trust a drunk with my present? I was trying to find a way to hide my sadness. I was crushed, but I didn’t want her to see that. I told her that it was all right. What else could I say? We had both been ripped off. For the rest of the morning, I watched my sister play and forced myself to celebrate with her. A little before lunchtime, my dad lumbered into the house. He was greeted with the fury of a mother whose son had been disappointed on Christmas morning. That conversation was colorfully sprinkled with a lot of cursing and yelling, so my sister and I went to hide out in my room. We just wanted to pretend that we were having a normal Christmas. The next thing I knew, my dad stormed through my room with my mom in heated pursuit. He grabbed me — hard — by the arm and dragged me out of the house. I was glad my mother made me wear slippers that morning. He threw me into his van and sped off down the street. At least he was driving straight. Perhaps the fight with my mom had sobered him up. Thankfully, we did not have to drive very far. 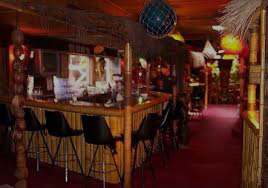 We pulled into my dad’s favorite bar — the Tiki Room. The place looked like a rat hole from the outside, and the large gravel-covered parking lot rarely held more than three cars. The inside probably didn’t look much better, but it was too dark to tell. As soon as we walked in, my dad got into a serious conversation with the owner. He pulled a wad of cash out of his business-card-stuffed wallet and counted off a number of bills. 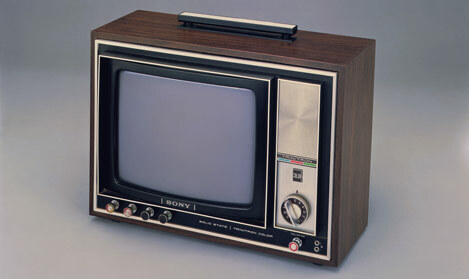 After smacking the money down on the bar, he unplugged a color television without even turning it off. He lifted the well-used, thirteen-inch set off of a grimy shelf and motioned for me to follow him. We drove home more slowly than we had left. After pulling into the driveway, my dad snatched the TV and huffed into the house. He set it up on a table in my room, plugged it in, and said “Merry Christmas” on his way out of the house. My mom tried to follow him and yelled out the door after him, but he ignored her. I could hear him revving the engine all the way down our street. It took a few minutes to make sense out of everything that had happened. My dad had barely kept his promise, but it could have been worse. My mom came in to talk with me, and I gave her a pleading look — the kind of look you give after bringing home a stray dog. After receiving a gift like that from an earthly father who didn’t know what he was doing, it became difficult for me to receive anything from anyone. I was sick. I knew that my dad was the epitome of lousy, but lousy was all I knew. My instincts told me that dads were supposed to do better — be better — but I wasn’t entirely sure what that kind of dad even looked like. Unfortunately, I didn’t have role models in my life to take me under their wing and demonstrate how good parents treat their children. I had to discover most of that on my own. Borne out of a desire to do better — be better — myself, I’d come up with ideas and ask God to reveal those qualities to me. Though I had begun to heal from my chaotic childhood, my thinking was still crippled. As an adult, Christmas and holidays were the most difficult times of the year. To me, holidays represented pain — crushed hopes and broken promises. By God’s grace, with the help of my patient wife, Robin, I began to see that Christmas actually represented the very opposite of what I had experienced — the fulfillment of a Father’s promise to send a Savior. One particular day I was listening to a Focus on the Family Radio broadcast. They were talking about two very sensitive subjects in my world, Christmas and family. As I listened I realized that the pain from my memories were gone! Somehow God did not just redeem my life – He redeemed my memories, my holidays and now even words like Christmas and family. May the redemptive power of Jesus invade your Christmas’ past and make “whole” new memories for your future and the future of your family.